The iliotibial band, or IT band, is a ligament that starts in the pelvis, along the iliac crest, and travels down through the outside of the thigh from the hip to the shin. 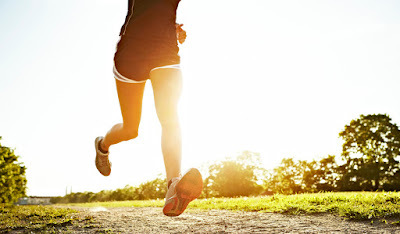 Most commonly as a result of overuse from running sports and activities, knots can begin to develop along the IT band as well as on the lower side of the leg, causing the ligament to become tight and inflamed, a condition known as iliotibial band syndrome. Once the IT band contracts and shortens, the affected individual can develop symptoms of hip pain, lower back pain, and most frequently, knee pain. First and foremost, seeking medical attention for any type of injury or condition that causes pain after physical activity is important. A chiropractor can diagnose and treat many spinal conditions, such as a possible spinal misalignment. In many cases, if the spine and pelvis aren’t aligned or moving properly, the altered movement patterns can cause muscle imbalances and may increase the chances of developing iliotibial band syndrome. Having a strong core can also be important for runners in order to avoid experiencing injuries. Exercises such as planks, side planks, and crunches should be a part of a runner’s daily exercise routine to strengthen the core. As a runner, your core should be contracted, solid, and strong. Along with a strong core, an individual should make sure they’re following a proper running gait to prevent further injuries. The use of foam rollers can also help alleviate symptoms of pain. In order to relieve IT band syndrome, an individual has to loosen up the knots along the iliotibial band. Using a foam roller, lie on your side to find a knot and relax into the band. It’s recommended to spend approximately 10 minutes on the foam roller daily. And last, improper footwear may also cause running complications. There are a variety of shoes specifically designed to make running easier and much more comfortable. By following the above recommendations, runners can alleviate their iliotibial band syndrome pain and symptoms and return to their regular running activities.